!T$-L!T-FR!DAY is taking it up a notch!!! Not only have we had the privilege to be showcasing ABQs Voted #1 Club DJ DJ Remainz 2018 every Friday, but now on Dec, 15th we have the honor to bring out Santa Fes Voted #1 Club DJ !! 🙂 !!! 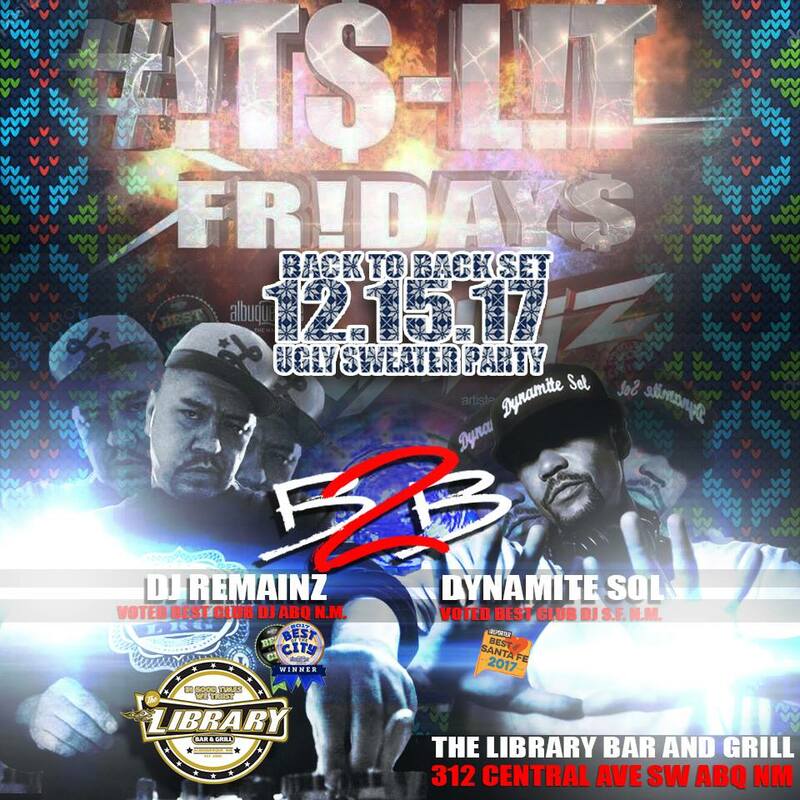 DJ Dynamite Sol ( Sol Bentleyy ) to join DJ Remainz on a all night back to back Party Rocking Set!! The energy will be high as these two know how to rock!! So grab your Ugly Christmas Sweaters and get ready to party!! Mark Your Calendars to DEC 15th! Location Library Down Town Albuquerque!!! Its going to be a real fun night! !